Available as long as it lasts, so don’t wait too long. Thanks to Binkie for the tip. Catching up with a few loose ends here. History Channel has not yet confirmed a date for this mini series. The documentary on the real Hatfields and McCoys which will come with the series has not been finished yet; the grape vine says that we can expect to see the two families feuding in the first half of 2012. I’ve set up a page for Hatfields and McCoys on the website; not much content there yet, though. One of Damian’s earliest TV appearances is now available on HULU. It’s only available to people in the USA. Sky Movies Sci-fi & Horror HD is currently showing The Broken almost daily. 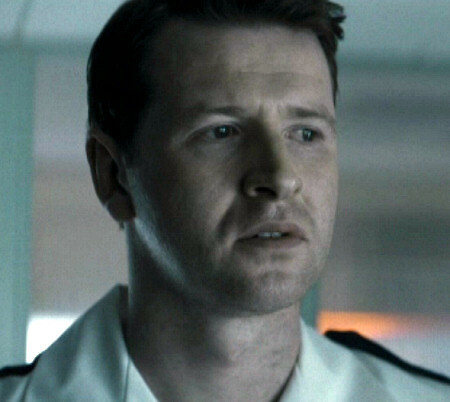 Damian O’Hare in “Grazia” magazine (sort of…) – and a freebie. I don’t know what year this was published and in which issue; the contributor sending me the scan didn’t know, either. From the text I’d say it was in 2006, but I could be wrong. 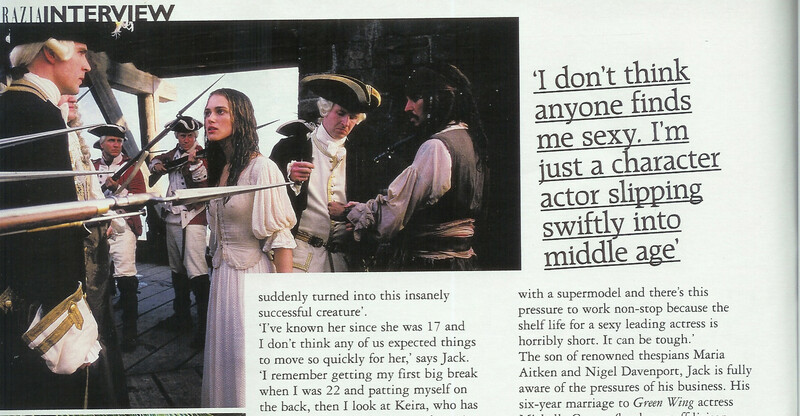 It’s a multi-page interview with Jack Davenport (the quote in the title is by him), but as you can see, Damian’s in there as well. Please mention “Freebie” in the subject line. “The Brøken” is now available on DVD in the UK as well. Click here if you’d like to buy this movie on Amazon UK. The news of the maybe-possibly-then-again-maybe-not-axing of “Heartbeat” and “The Royal” (still denied by ITV) didn’t go unnoticed. While ranging from “about time!” to “why do you have to cancel the last bit of lighthearted entertainment?”, comments all over the media were overwhelmingly negative, and ITV had to take a lot of flak for its rumoured future investment in reality TV rather than drama. One doesn’t have to like shows like Heartbeat, The Royal or The Bill to fear the TV monoculture this might announce. All quality aspects aside – for those working behind and in front of the camera, this could mean that their jobs are at risk. It could also mean loss of income for local businesses. And more reality shows will come at the cost of even fewer available jobs for actors. Here are some links to comments; while the focus is on “Heartbeat” and “The Bill”, “The Royal” is mentioned as well, and the problems are the same for all shows. And now for something completely different… “The Brøken” is now in cinemas, and here are two (positive) reviews. Please check your local theatres for details.